One of the world most spectacular views are observed from Scandinavian trains, including famous Flamsbana train to Flam. This multi-country train journey will allow you to explore efficient railway system of Scandinavia, and visit all of the must-sees in Denmark, Sweden, and Norway. After breakfast, you check out from your hotel and your driver transfers you to the train station, where you board a train that takes you to Sweden’s third-largest city - Malmo (train tickets are included). Upon arrival, you have a transfer to your centrally located hotel and check-in. You then meet your guide and enjoy a 3-hour walking city tour of Malmo that provides you with a great opportunity to experience the best this city has to offer. During the tour, you explore the beautiful Old Town with its iconic Stortoget Square, enjoy the views of the legendary Oresund Bridge that connects Denmark and Sweden, and see one of Scandinavia’s tallest skyscrapers - the Turning Torso. After breakfast, you check out from your hotel, meet your driver and head to the train station to enjoy a fascinating train ride the charming port city - Gothenburg. Upon arrival, you go to your hotel located within a walking distance from the train station. Later you meet your guide at the hotel lobby and go on a 3-hour sightseeing tour around the most famous Gothenburg attractions. During the tour, you explore the old Haga district, visit the famous Fish Market, see the modern Opera House and the Maritime Center (no entrances included) and take a walk at the famous Avenue abundant in cozy restaurants, cafes, and pubs. Following breakfast, you check out from your hotel and go to the train station (easily accessible on foot) for your train ride to the capital of Sweden - Stockholm. Upon arrival, you walk to your centrally located hotel for check-in. The rest of the day at leisure. After breakfast, you meet your guide and enjoy a 3-hour walking city tour around the most interesting attractions of Stockholm. A transfer is not included. Public transport or private transfer if needed should be paid on spot. Following breakfast, your driver takes you to the Skansen Museum - the world's first open-air museum founded in 1891, that demonstrates the country's life before the industrial era. During the tour, you take a fascinating journey through the five centuries of Swedish history, see the large collection of traditional rural houses and visit the museum’s zoo that represents about 75 different species of both domestic and wild Scandinavian animals, including brown bears, seals, lynx and wolverines. Later you walk to the nearby Vasa Museum rated as the most visited museum in the entire Scandinavia. This museum is famous for being home to the only intact 17th-century ship in the world - the Vasa. Sank on its maiden voyage in 1628 and salvaged only 333 years later, it managed to preserve more than 95 percent of its body in the original state. 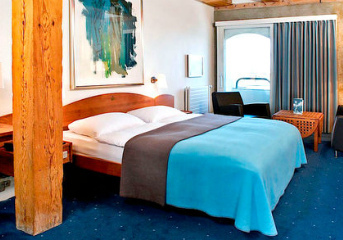 After the tour you return to your hotel and have the rest of the day free (transfer back to the hotel is not included). Following breakfast, you check out from your hotel and walk to the train station, where you board a train that takes you to the gorgeous capital of Norway - Oslo. Upon arrival, you go to your hotel located within a walking distance from the train station. The rest of the day is at leisure. After breakfast, you meet your private guide at the hotel lobby and go on a 4-hour walking city tour around the most magnificent attractions of the Norwegian capital. A transfer is not included. Public transport or private transfer if needed should be paid on spot. Then you proceed to other famous Oslo attractions, including the Royal Palace and the Akershus fortress (no entrances included). Following breakfast, you walk to the train station (easily accessible on foot) to board a train that takes you to the second largest city in Norway - Bergen. This is a truly unforgettable journey that provides you with a great opportunity to admire the unique nature and picture-postcard scenery of this magnificent land. Upon arrival, your driver meets you at the train station and transfers you to your centrally located. The rest of the day is at leisure. Following breakfast, you meet your guide at the hotel lobby and enjoy a 3-hour walking city tour around the most interesting sights of Bergen. During the tour, you take a walk at the famous Bryggen district, visit the Fish Market and experience a fantastic Floibanen Funicular ride that is one of Norway's best-known attractions. Following breakfast, you check out from your hotel and your driver transfers you to the train station, where you board a train that takes you to the picturesque fjord town - Flam. Upon arrival, you go to your hotel located within a walking distance of the train station and have the rest of the day at leisure. If accommodation in Flam is completely sold out, alternative accommodation in Aurland or Gudvangen will be provided. Following breakfast, you check out from your hotel and walk to the train station (easily accessible on foot), where you board a train that takes you to an unforgettable Flam - Myrdal - Oslo rail ride. This trip is a perfect chance to admire the mind-boggling nature and picture-postcard scenery of Norway. Upon arrival, your driver meets you at the train station and transfers you to the airport for your flight back home. We wish you a safe flight and hope to work on your future trips!